Beer club night and it’s a revisit to some Funk Estate Super Afro-Disiac. I’ve only had this a few beers since, so It’d be nice to revisit that experience. Despite the fact that I have a cold, and all those things that goes with it I’m hoping that I can taste what’s going on. Could be short night otherwise. This is 8% ABV and 55 IBU things in my can, and that is 240 calories and 2.1 standard drink units of beer. The keg version was surprisingly nice really, so I have the high hopes. Mostly a hop aroma on opening, the nose wins thought the effects of the cold! Really a nice mouthful of taste and flavours, and that 55 IBU thing seem a little on the light side as there is a noticeable bitterness from the hops. Also a noticeable dryer note at the finish. But it’s all carried awning by a lovely melange of flavours from the cocoa and the milk-chocolate like things, and a slightly smokey edge. Surprisingly I think this is rather better than the keg version, it seems sharper, fresher and brighter. It’s also edgier and not as refined thought, rougher at the edged perhaps which would be a nice thing not to have. But it is nice, and very enjoyable. Man could get used to the Beer Club thing. I like to think of every beer as a new and different beer and without referring to the previous notes I think that is a muddled beer in many respects, trying to hard to have it all. Of course a coffee note would be nice, as would a chocolate note in the taste, and fullness in the mouth, and that mystery smokiness, But I think that despite that the over-riding aroma is a grass hop bitterness, the bitterness is rather present, but it has stand out taste on the tongue, and is a drink that draws you back to it because of and not in spite of the tastes it has. It’s a bit of good work, even if it might be flawed. The pdubyah-o-meter rates this as 8 of its things from the thing. I’ve had the keg and now the can version and I think they’re the same but different, the can version seems brighter more energetic and also a bit rougher and less refined. Where did I get it? It’s BeerClub beer of the week, but it should be everywhere they sell a good beer. Am I enjoying it? I am, it’s quite the thing to have a beer you wernt’t expecting to have and for it to cause you to stop and think about what’s going on, finding it to be mostly good. Would I have another? 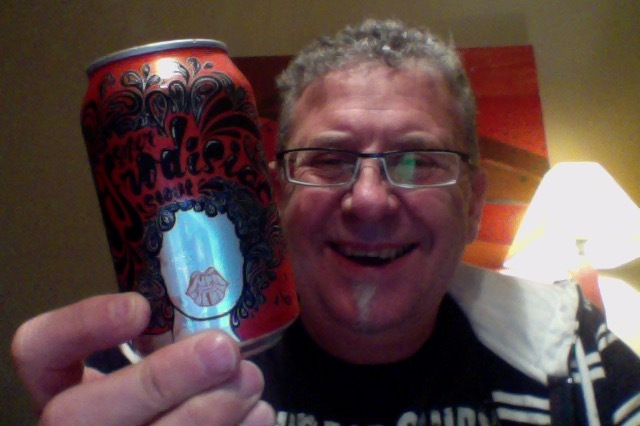 I like the Auckland Funk Estate beers, they should make me ambassador, or something, or send samples, or something. Would I share with a friend on a porch and set the world to rights? It’s unusual to turn up with a 6 pack of stouts, unless they’re Irish ones, but this would be a really nice challenge to the norm and provide quite the platform for a discussion about what makes a stout a stout. You’d be surprised. Britta Phillips, (born June 11, 1963), is an American singer-songwriter, musician, record producer, actor, and voice actor. Despite what you might think of the random music selections I really do listen to the album, or at least that’s the starter album depending on the beer, but usually the whole thing. Not this time though, she got onto a couple of covers and then it all went wrong really. Unlike the beer this was a bit average, putting it politely, average pop songs averagely attempted in what might be a middle aged crisis thing. She’s younger than me though so I’ll put it down to youth and exuberance. 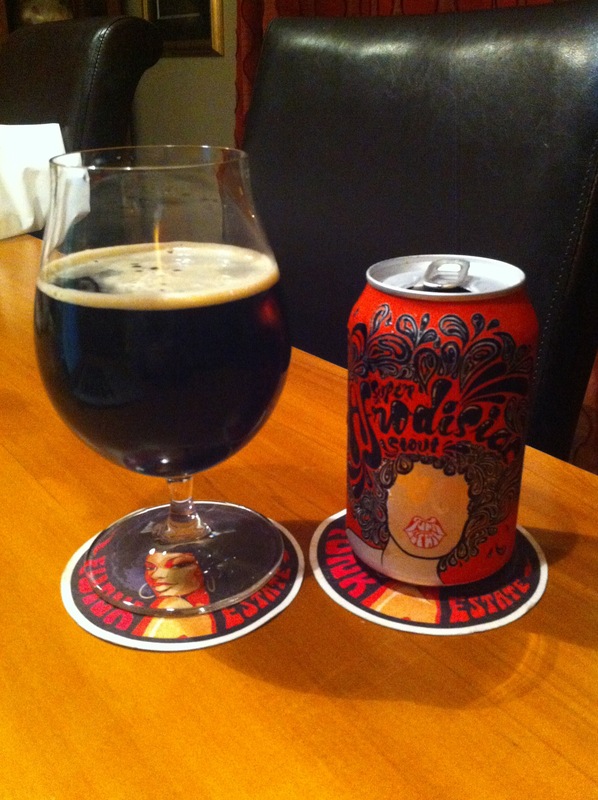 This entry was posted on May 5, 2016 by Philip Walter in Beer, Beer of New Zealand, Beer Review, Craft Beer, Critic, Funk Estate, Imperial Stout, Justsaying and tagged Alcohol by volume, Beer, craft beer, Funk Estate, Funk Estate Super Afro-Disiac, Stout, Super Afro-Disiac.